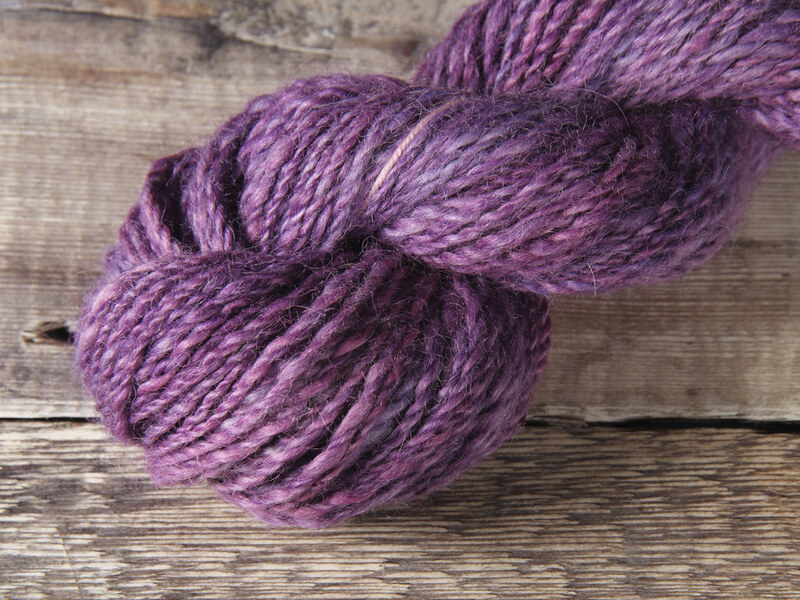 This beautiful yarn was hand spun and hand dyed by Suzie in East London. Bluefaced Leicester is a traditional British sheep breed known for its loft and softness, and is similar in character to merino. The fibre was hand-painted in soft shades of purple. By dyeing the fibre prior to spinning, the knitted fabric gains a textured, marled effect with a tweedy appearance. It’s spun thick-and-thin 2 ply, roughly chunky weight but surprisingly airy and smooshy, perfect for a hat or snood. We recommended you swatch to find the right tension for your project. This very special skein is non-repeatable.